During the summer and fall, many of us like to partake in BBQ parties and other outdoor events. When you picture yourself in that scenario, you no doubt also picture a cold drink in your hand. For some people, beer is the quintessential beverage of summer. For others, they want something a little different. Wine has garnered something of a reputation as being an indoor beverage, suitable only for occasions where everyone’s wearing their best, but that certainly should not be the case. In fact, a case can be made for wine as the new reigning beverage of the BBQ. With a few guidelines to keep in mind, selecting the perfect wine to pair with any of your grilled delicacies should not only be easy, it should also be a pleasure. When the summer heat sweeps over you, it’s time to put your bottles on ice. Even red wine can be delicious chilled. Some may balk at this concept, but you should consider for a moment what temperature you would want for any other kind of beverage when it’s sweltering outside. Cold beverages invariably taste better and are more refreshing when you’re trying to keep cool, and you may even be so bold as to pour that wine on the rocks. Even your favorite red, which you might have only ever enjoyed at the prescribed room temperature, may benefit from some time on the ice. The temperature change could bring out different flavors in it that you may have not appreciated before. Your favorite wine aside, you may still be hesitant to go against what you’ve always been told is a rule. In that case, know that some experts believe that the higher the tannins in the wine, the better the wine will taste chilled, so you can use that as a guide if you’re still unsure. Chilling a wine with a large tannin content makes the wine act more like an iced tea, which ensures a delightfully sweet and invigorating drink, perfect for sipping poolside or on your patio with friends. There’s a reason beer has been the king of the BBQ, and that’s because it acts as a palate cleanser. It rids your taste buds of the fat and richness of the meat and replaces it with cool acidity. Wine, especially sparkling wines, can act in that same way, and can be even more delicious. Beers are served cold, which adds to the sense of refreshment, and so it stands to reason that other types of beverages should be served at that same temperature. If you try it, surely you will not regret it. There is a time and place for your most expensive bottle of champagne or that bottle of wine you’ve been keeping in your cellar for a special occasion, but a backyard BBQ is neither the location nor occasion for such extravagances. Certainly a get-together with family and friends to enjoy succulent grilled meats, veggies, and each other’s company is a special event, but a bottle of your best will likely not be appreciated for what it is in light of the overwhelming flavors and the casualness of the atmosphere. Now is the time to let your cares slip away and let the wine (and BBQ sauce) pour freely. There are a myriad of wines that are inexpensive and delicious, and will be a much more apt pairing with your grilled foods. White wine — If you’re serving lighter fare, such as fish, chicken, or even a few pork dishes, white wines will pair with them beautifully. 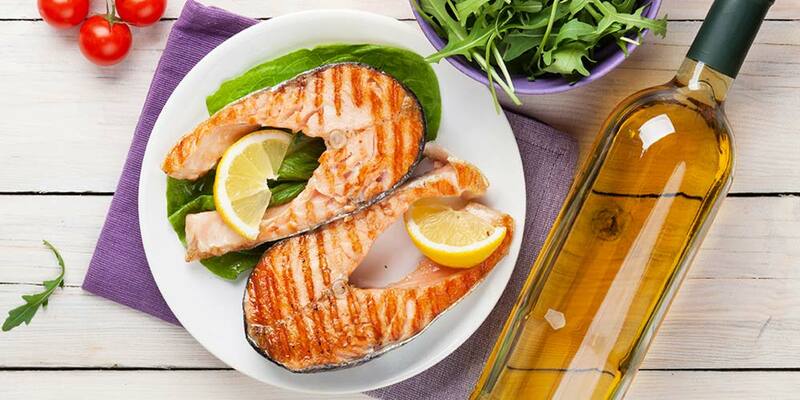 Consider a chardonnay for tuna, trout, rockfish, veggie burgers, or even regular hamburgers that will be garnished with mushrooms. Rosés — Rosés are an excellent choice for most grilled food as they are spirited enough to match with almost any flavor. A lively rosé will go particularly well with pulled pork. Pinot Noir — If you’ve taken the extra time to smoke your meat and imbue it with salty, bacon-type flavors, then a pinot noir might be exactly what your palate is yearning for. Cabernet — Are you dishing out flavorful brisket? Take a chance on a vibrant Cabernet blend. Syrah/Shiraz — If you’ll be chowing down on ribs, a rich Syrah will likely bring out the best of the flavors. 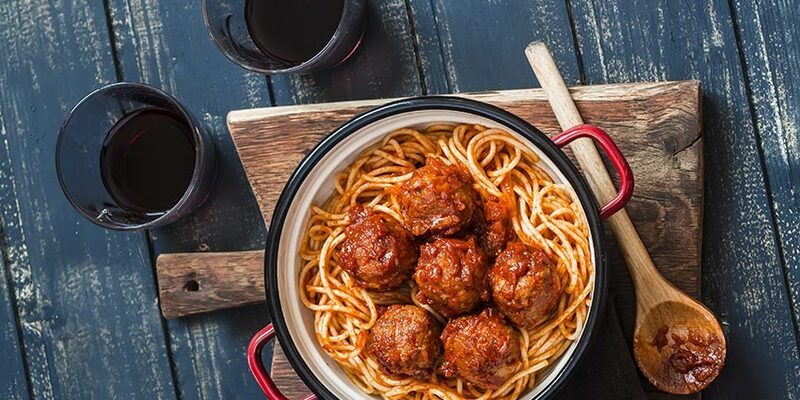 Zinfandel — Spicy sausage calls for something just as bold, so you might want to uncork an equally spicy zinfandel to really give your guests something to relish. Syrah/Shiraz/Malbec — Are you a big fan of spice rubs? A Shiraz or Malbec will be able to boldly go toe-to-toe with them. 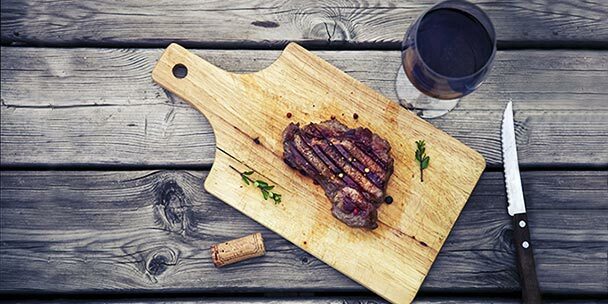 Red wine — A classic red wine is always a safe choice for hamburger, steak, BBQ ribs, and beef tenderloin, though almost certainly more unexpected than pulling the tab on a run-of-the-mill brew. Of course, you are the best judge for your table. If you have a favorite wine that you like to put on the table for most meals, perhaps try taking it outside and seeing how it fares with dishes you haven’t sipped it with before. There are so many different types and brands of wine, you are certain to find the perfect pairing for your BBQ outing. You should feel free to experiment with flavors and dishes, because the results just might make your cookouts or tailgating parties even more unforgettable. Whatever kind of backyard grilling or tailgating event you’re planning for the season, it’s likely that there are more than a few wines out there that will not only complement your feast, but also enhance it. Wine needn’t be something enjoyed only indoors, or only when you’re at a fancy dinner party. It is a beverage that possesses an almost infinite capacity for innovation and application, and there is a type for almost any palate. Wine is a drink that can be enjoyed warm or cold, in the summer or winter, and with practically any dish–time to uncork that bottle! Thank you, I’ve always wanted to learn more about wine and paring with food, I know you do red with meat, and white with seafood, and that’s about all of my knowledge. Love learning more about wine…and pairing it with food. Also good to know the sky will not fall if I chill a red. Please never serve wine “on the rocks”…cool down wine for only a couple of minutes, even on a hot day, using an ice bucket. Do this if the wine is not at cellar temperature (55 to 60 degrees Fahrenheit). This will prevent the red wine to taste primarily of alcohol. 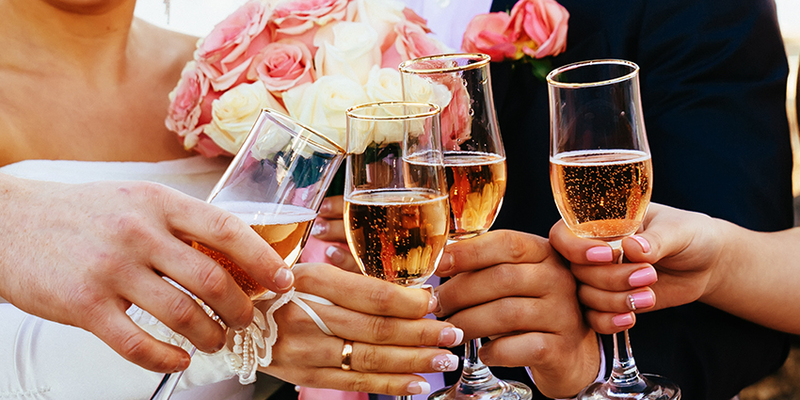 Also remind guests to hold the wine glasses from the stem (don’t grasp the bell of the wine glass) in order to keep their hand’s body temperature from getting the wine warm. 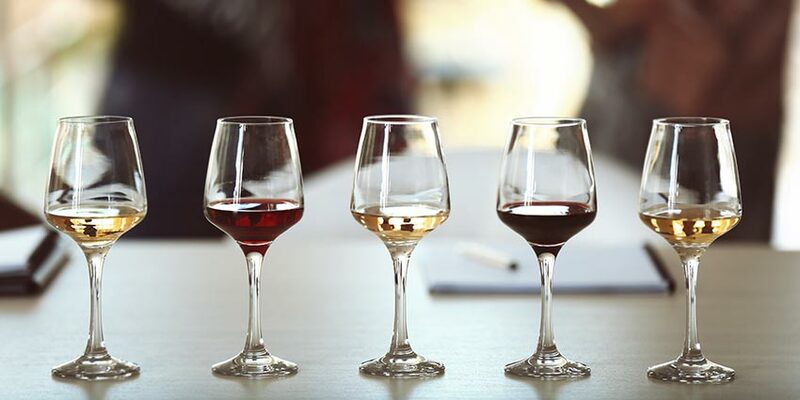 If red wine is too cold, it loses the aroma and flavor nuisances that make well made still wines so great. Even white wines s/n be ice cold. another nice article. Even my reds I prefer chilled and appreciate the character change as it warms and breaths. Again you’re suggesting/guiding not emphatic.